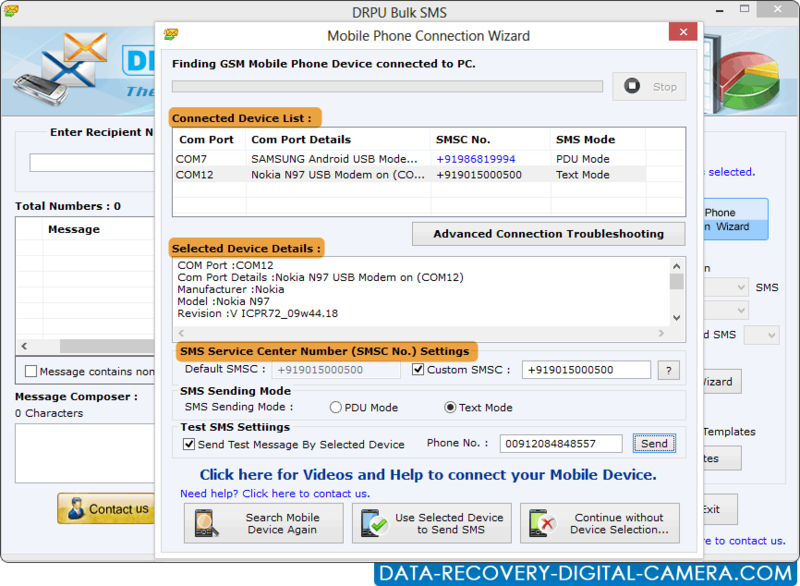 Connection Wizard shows connected mobile device. Use Selected device to send text messages. 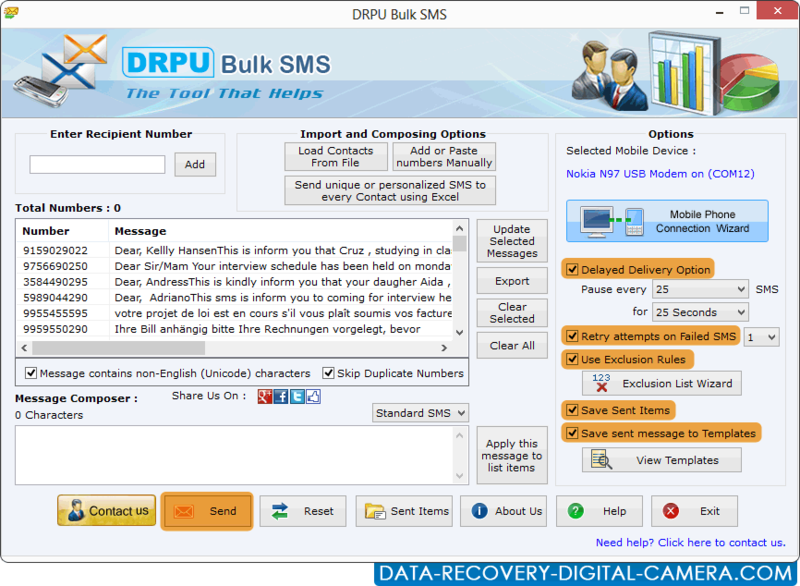 Wizard displays facility to send standard SMS or notifications as per your choice. 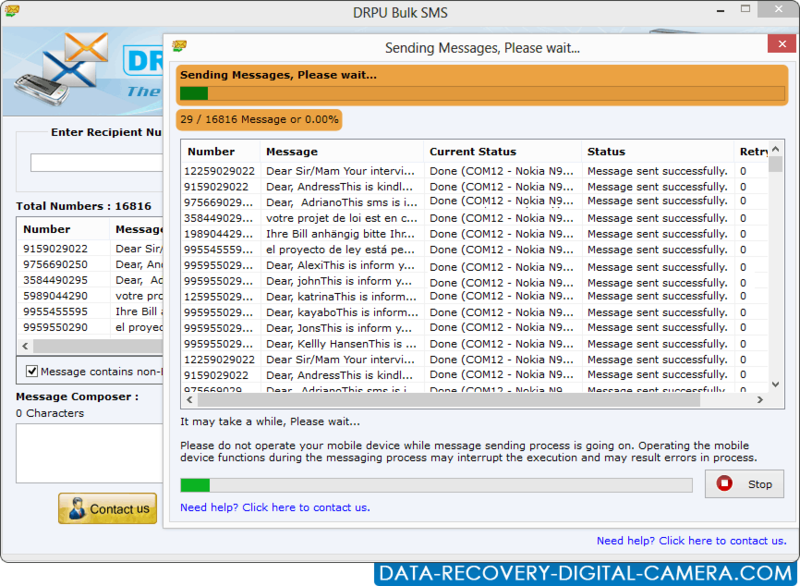 Progress bar displays running status of loading contact number and messages.